The international organization recognized that Crimea is Ukraine. The Sailing Federation of Ukraine received confirmation from Word Sailing, the world Federation responsible for the Olympic and Paraolympic Sailing Competitions, about the non-recognition of the competitions that Russia intended to hold in the annexed Sevastopol from September 8 to 15. In a copy of the official letter to the President of the Russian Sailing Federation signed by the Executive Director of World Sailing, indicates that the competitions on the territory of the annexed Crimea are possible only with the consent of the Ukrainian side. "As mentioned in the President’s earlier correspondence, whilst World Sailing understands the difficult political situation in the region, it must follow the decisions of both the United Nations and International Olympic Committee that the Crimea remains part of the territory of the Ukraine. Therefore, the view and decision of the Board is that organizing authorities on the Crimea must be affiliated to the national authority of the Ukraine, in order to be properly affiliated under RRS 89.1 (which is a fundamental requirement of the sport)," the letter says. Vice-President of the Sailing Federation of Ukraine, secretary of the National Reform Council Dmitry Shimkiv noted that due to such a reaction, any competitions on the territory of the illegally annexed Crimea will not go to international credit of the aggressor country. “We have achieved not only recognition that the competitions initiated by the Russian Federation in the Crimea violate international rules. The world Sailing Federation recognized that Crimea is an integral part of Ukraine. Every Ukrainian association of any kind of sport must defend the interests of the state in the eyes of the international sports community like the Federation of sailing. I call on colleagues from other associations to take action," he said. 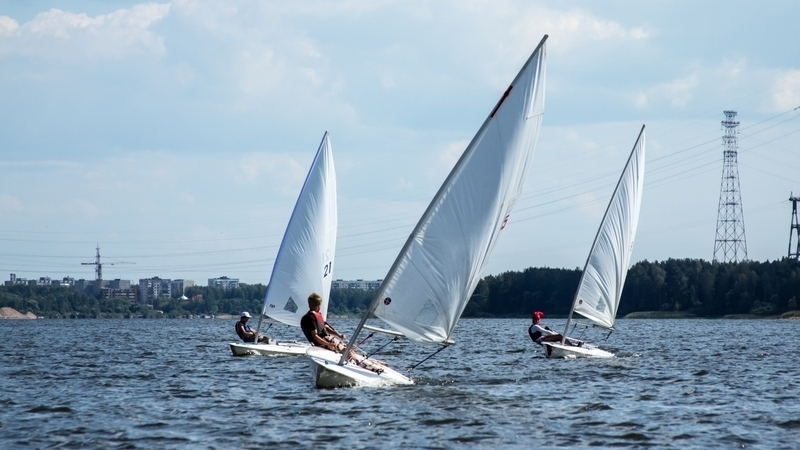 President of the Sailing Federation of Ukraine Rodion Luka noted that this year in Ukraine the first sailing competition will take place at the Kiyiv Reservoir from September 12 to 17 in all classes of yachts. More than 700 participants are expected to attend the competition.